Take look at this 4 bedroom 2.5 bathroom traditional two story. This home has many updates and extra amenities. Located in desirable Hurstbourne neighborhood this corner lot offers privacy and convinence. Upon entering the front door you will see the freshly painted interior and new tile flooring in the foyer. Living room is located just off foyer. It offers newer engineered hardwood flooring and a very spacious layout. The living room opens to a formal dining room also updated. The kitchen has been updated with granite countertops, backsplash,and new stainless steel appliances. Adjacent to the kitchen is a dining area with entry door to 3 seasons room with heating and air conditioning. Next a spacious family room with refinished hardwood and fireplace offers plenty of charcte Upstairs you will find fresh interior paint and new carpet throughout. You will also find 4 bedrooms one of which is a large master suite with walk in closet and master on suite bathroom. Down the hall you will also find another full bathroom. Outside you will be welcomed into your backyard with a large patio surrounding an in ground pool. The pool has been well maintained and features new heater and pump system. 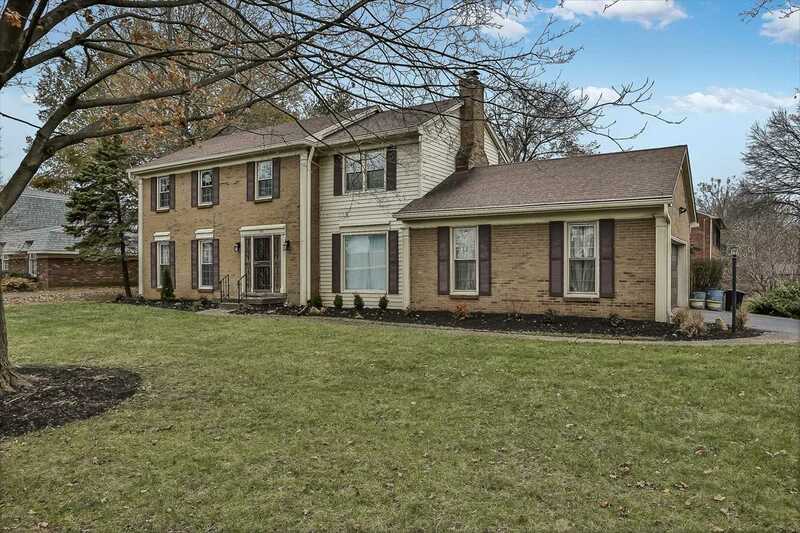 Don't delay to make this Hurstbourne gem your home! Directions:South Hurstbourne Parkway to Linn Station Road. Turn Right onto Nottingham Pkwy, Property is 1000 ft on the left. SchoolsClick map icons below to view information for schools near 900 Nottingham Pkwy Louisville, KY 40222. MLS # 1520385: This property at 900 Nottingham Pkwy, Louisville, KY 40222 is located in the Hurstbourne subdivision and is listed for $310,000. MLS # 1520385 has been on the market for 141 days.